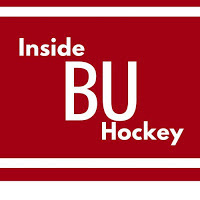 This week’s episode of Inside BU Hockey features Bernie Corbett’s interviews with Head Coach David Quinn, sophomore goalie Jake Oettinger, former Terrier standout, assistant coach and head coach at Princeton and UMass Don “Toot” Cahoon and Cornell play-by-play announcer—and BU alum—Jason Weinstein. Oettinger, a 2017 first-round draft pick by Dallas, was the MVP of last weekend’s Hockey East Championship tournament won by the Terriers. 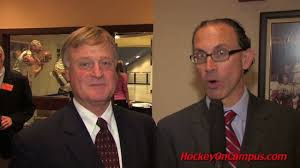 Cahoon, who starred on BU’s 1971 and 1972 national championship teams, was an assistant to Jack Parker from 1983 to 1991, He led Princeton to the ECAC title in 1998 and led UMass to an NCAA Regional final in 2007. In 1991, he coached Team USA in the World Junior Championships. Cahoon is currently a hockey commentator on TV broadcasts.